Welcome to this week in Neo4j where we round up what’s been happening in the world of graph databases in the last 7 days. As my colleague Mark Needham is still on his well earned vacation, I’m filling in this week. 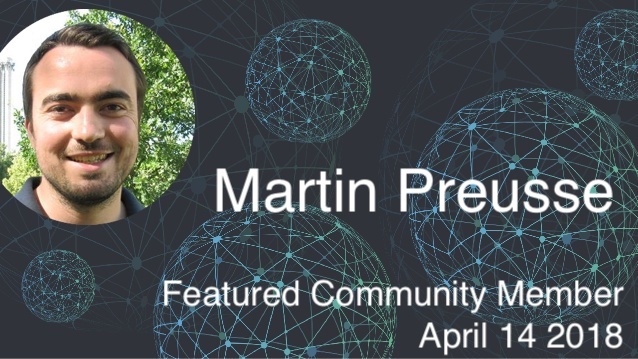 Martin Preusse is a cell biology researcher and integrator working in Munich. Martin is working at the Helmholtz Institute of Computational Biology and runs his own startup, Knowing Health which focuses on biological data integration to build an universal “cell map”. Martin has been promoting and teaching the use of graphs in life-sciences for a long time. Most of his work is dealing with large graphs with hundreds of millions of elements capturing the intrinsic relationships between DNA, RNA, Proteins and their creation, mutation and use in biological pathways. He gave several meetup and conference talks and represented Neo4j at healthcare hackathons. Martin presented at and helped ourganize our Graphs in Life Sciences Workshop in Berlin. 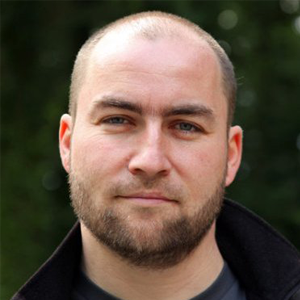 On behalf of the Neo4j community, thanks for all your work Martin and good luck for your research & work. This week in Milano, Italy, Graph Tour EMEA finished with a great event with impressive presentations and interesting discussions. We really enjoyed meeting so many of you during the tour and want to thank everyone involved making the events around Graph Tour so successful. You’ll find members of our developer relations team (Jennifer, Karin, Ryan, Will) at any of these. This week we launched the long awaited Graph Gear Store where you can order Neo4j Swag to your heart’s contempt. Thanks to everyone who answered our developer survey. We were really thrilled by the postitive response and suggestions for improvements. So far already 400 of you have claimed their $10 discount for the new swag store. To make it easier for everyone to publish and promote articles around graphs and Neo4j, we launched a Neo4j Publication on Medium. We already have 15 interesting stories for our more than 6000 followers there. If you want to be considered as a contributor and contribute articles, please drop us an email to devrel@neo4j.com. Feel free to submit your existing Medium posts but especially new ones. Something to share with your friends and colleagues that wanted to try out Neo4j: Jennifer Reif wrote a quick 30-minute guide on how to get started. After coming across the open CLI framework (OCLIF) from Heroku, I decided to give it a spin and write a small bolt-shell, read more about it here. Will wrote an article showing how to use the neo4j-graphql plugin that is now available within Neo4j Desktop. A starter kit for Graphql + Neo4j + Node was created by CJ Davis. Will Lyon published a new version of neo4j-graphql-js. It now includes support for Cypher schema directives on GraphQL Query types. If you have interesting feedback or use-cases to share for GraphQL and Neo4j, let us know, we’re happy to publish your articles. Also please make sure to send your feedback via the #neo4j-graphql channel in the Neo4j-Users slack or via GitHub issues at the projects in the neo4j-graphql organization. Chris Betz announced a new Clojure library called neo4j-clj which is built on top of the Java Bolt driver. It has some cool concepts. Check it out! Thorsten Liebig of Derivo published his second blog post on the visual inference tool Semspect on top of Neo4j. A really cool experiment is this CMR (Common Metadata Repository) which uses Neo4j as storage for NASA’s EODIS (Earth Observing System Data and Information System). It can be used for recommendations and visualization of metadata related to earthdata.nasa.gov. The Gavaagi Lexicon is a live representation of term usage in many languages. “Our semantic memories learn language constantly from live data feeds with millions of documents per day from both social and news media.” This project creates a Neo4j Graph from entries of the lexicon. This library implements a tokenstore in Neo4j for the “passwordless” Express extension that allows building webapps whose users can be authenticated without passwords. You remember Niklas Saers’ articles on Theo and GraphGopher? Now Rik van Bruggen interviewed Niklas in his podcast with interesting insights for Swift and iOS developers. Rik also interviewed Dilyan Damyanov from Snowplow Analytics about how you can use a graph database for enhancing your event analytics, specifically for clickstream analysis. You might remember the Snowplow articles on that topic.